The Army is officially challenging the Vegas Golden Knights more than a year after the hockey team revealed its name. 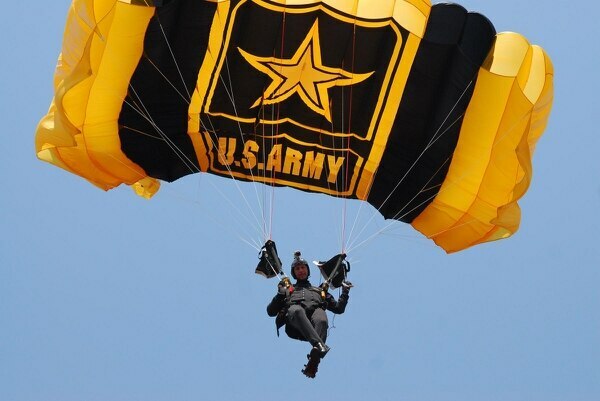 The Las Vegas-based National Hockey League team unveiled its name and logo in November 2016, and the Army wants to ensure there’s no confusion between the sports team and the United States Army Parachute Team, which is known as the Golden Knights. The Army spent about a year evaluating its rights and the NHL team’s use of the name, and then in October the service requested to extend the deadline for filing an official complaint until Wednesday — when it filed a notice of opposition with the U.S. Patent and Trademark Office. 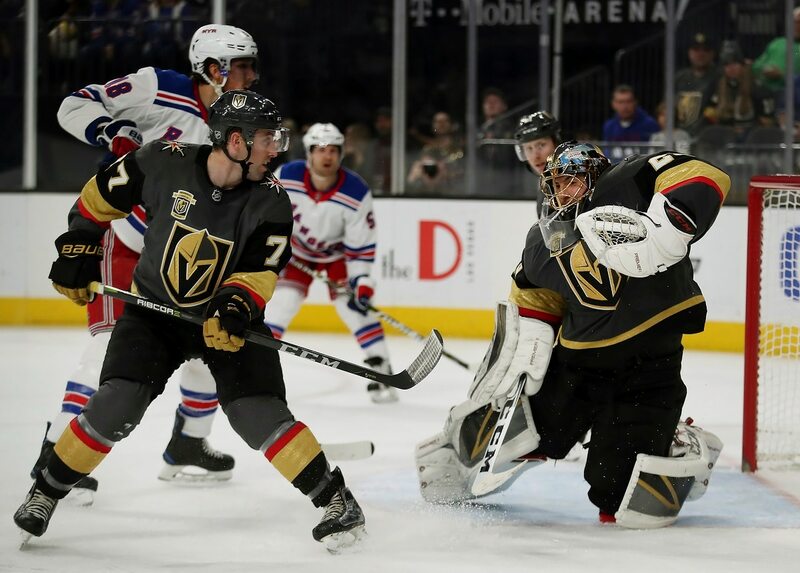 In the opposition, the Army said it believes it will be damaged if the Vegas Golden Knights are able to register their trademark over the name. Although the Army Golden Knights haven’t trademarked the name, the Army said in the opposition that the “longstanding, widespread and continuous” use of the name, knight logo and black/gold and yellow/white color schemes has given the Army exclusive rights that predates any rights the hockey team can rely upon. The service believes the public is likely to perceive the Army as sponsoring or being affiliated with the hockey team, according to the notice of opposition. If the hockey team is allowed to register exclusive rights to “Las Vegas Golden Knights,” the Army said in the opposition, the public is likely to be confused as to whether the U.S. government or the Army “controls the quality and nature of the services or endorses or sponsors” the hockey team. The Vegas Golden Knights released a statement in response to the Army, which was posted Thursday on Twitter by a senior NHL reporter at ESPN. The @GoldenKnights release statement on Dept. of Army going after them on trademark violation grounds. Bill Foley, owner of the Vegas Golden Knights and a 1967 West Point grad, told Army Times in a November 2016 interview that he was partial to using “Black Knights” for the hockey team. Black Knights is the name given to the United States Military Academy’s sports teams. However, Foley said he received pushback from the Army. 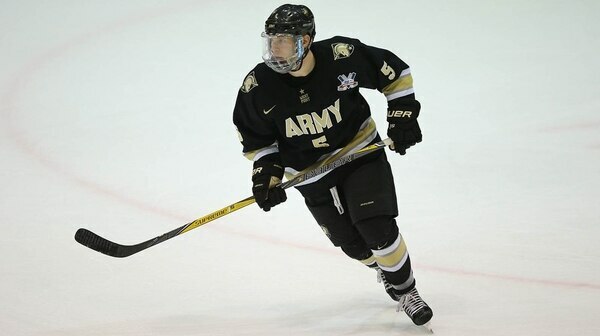 West Point’s sports teams also use a black/gold and yellow/white color scheme. “The goal was to have ‘knights’ in the name,” Foley said. Not only is “knights” a play on words for Vegas “nights,” Foley said, it represents the epitome of the warrior class. When you’re in the same industry, there’s potential for confusion, he said. Foley said he and his company received outside counsel, who said there shouldn’t be any confusion between the hockey and parachute teams. “I would never do anything that would denigrate or detract from what the Army does,” he said. “The only reason we didn’t reach out to anyone before we announced the name was because we were trying to keep it a secret,” Foley said. The hockey team debuted in the 2017-18 NHL season and is at the top of their division with a 29-10-2 record so far. Alison Bettencourt, a spokeswoman for the Army Marketing and Research Group, told Army Times via email on Thursday that the Army has been working with the team and the NHL for more than a year to resolve any potential trademark issues. “The legal action taken on Wednesday is part of the normal legal process and was necessary to protect the U.S. Army’s rights as we continue to resolve any potential trademark disputes,” Bettencourt said. Because further legal discussions are pending, she said she couldn’t comment on the next step. The Vegas Golden Knights have until Feb. 19 to respond to the Army’s notice of opposition. The New York-based College of Saint Rose, whose mascot is the Golden Knight, filed an extension with the trademark office while they decide if they want to oppose the hockey team’s trademark application as well.